1907: Member of BAPU Standing Committee. Graduated Law in Sofia University. 1907 – 1910: Editor with the “Zemedelsko Zname” newspaper. 1913: MP in the Sixteenth Ordinary National Assembly. 1915: Sentenced to jail in the so called Declausiere Affair trial. 1919 - 1920: Minister of Railways, Postal Services and Telegraphs and Head of the Ministry of Justice in Stamboliyski’s Cabinet. 1920 - 1923: Minister of Finance in Stamboliyski's Cabinet. MP. In 1923 he opposed part of BAPU reforms and was dismissed from the cabinet and BAPU. 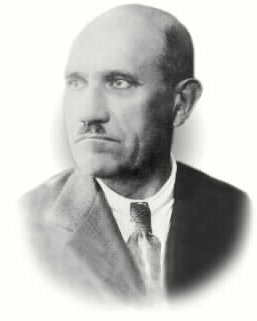 1933: Treasurer of BAPU “Alexander Stamboliyski”. 1934: Retired from active political career.